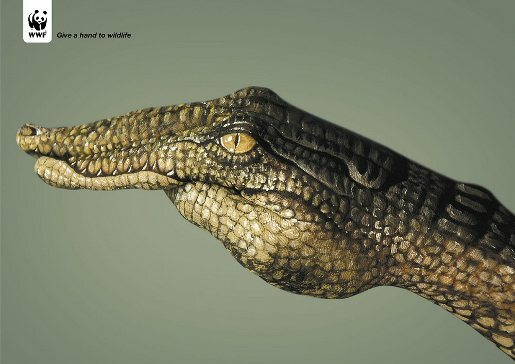 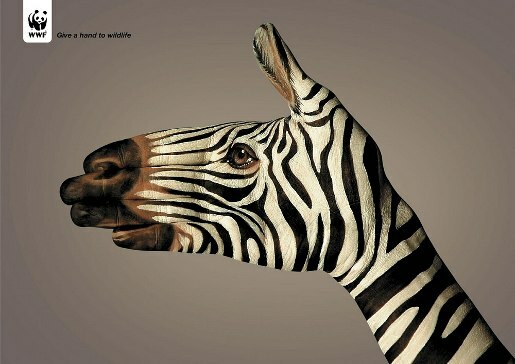 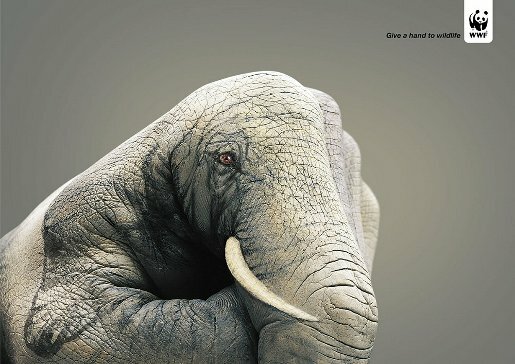 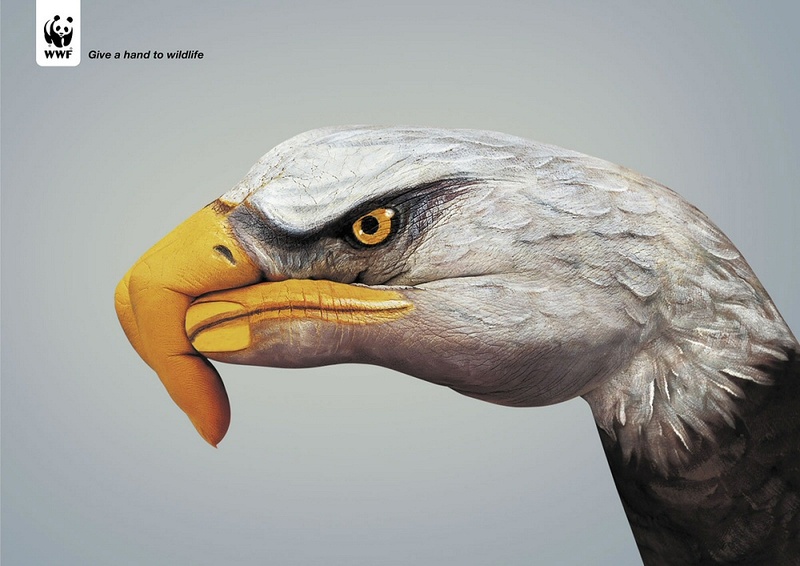 WWF has provided their take on the familiar painted hand motif in advertising, with the tag line, “Give a Hand to Wildlife”. 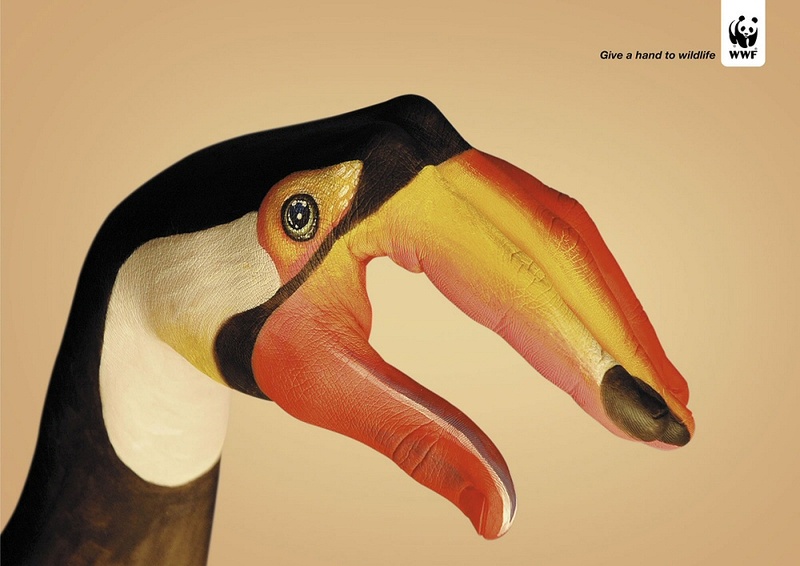 Body painter Guido Daniele worked with Saatchi & Saatchi in Switzerland to produce paintings of a toucan, tiger, zebra, elephant, eagle and crocodile. 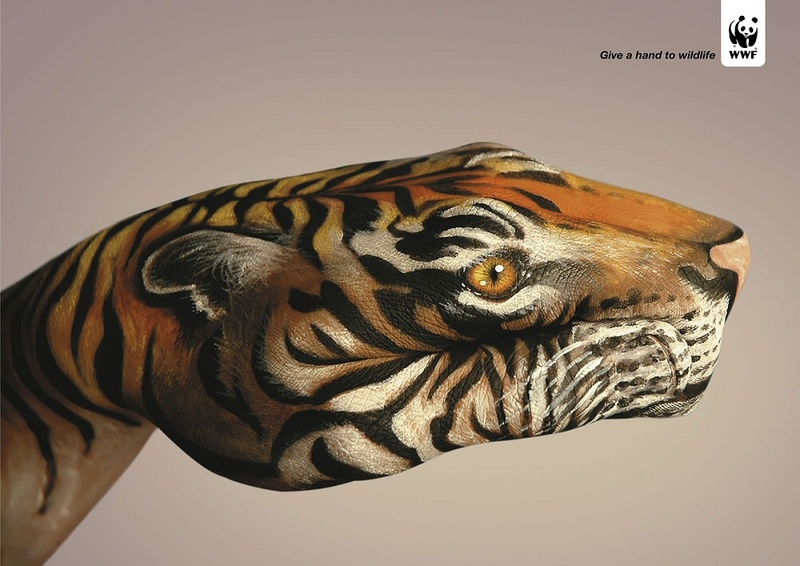 The WWF “Give A Hand to Wildlife” campaign was developed at Saatchi & Saatchi Simko, Geneva, by creative director Olivier Girard, copywriter Jean-Michael Larsen, art director Nicolas Poulain, with body painter Guido Daniele.